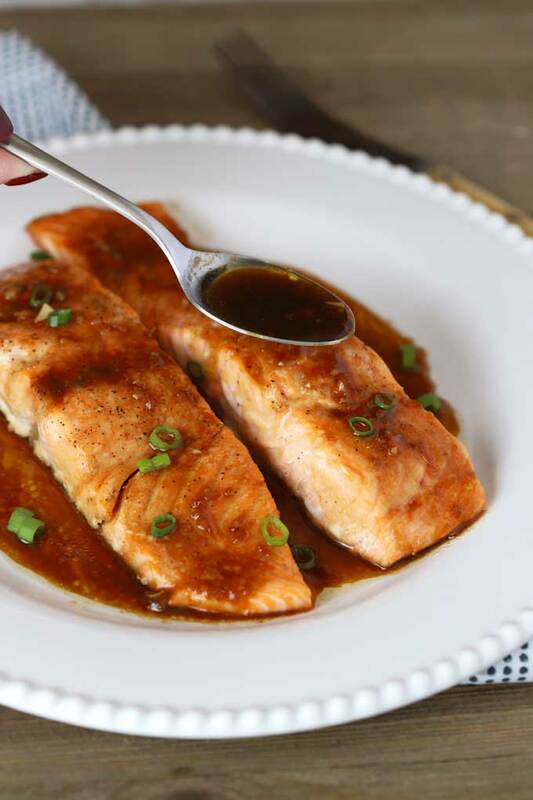 Oven Baked Salmon with lip-smacking Honey Ginger Glaze is a quick and easy salmon recipe sure to become a favorite! 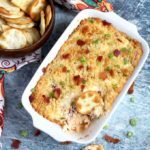 Made with a few ingredients and in about 20 minutes, this tasty baked salmon recipe is perfect for busy weeknights! 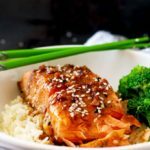 This Asian inspired oven baked salmon may look fancy but it is actually super simple to make and always turns out perfectly flaky, tender and delicious! 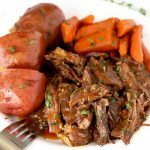 Serve it with rice, steamed vegetables, mashed potatoes or a simple mixed salad and see everyone ask for seconds! What Type of Salmon Should I Buy? Why Should I Bake Salmon? At What Temperature To Bake Salmon. 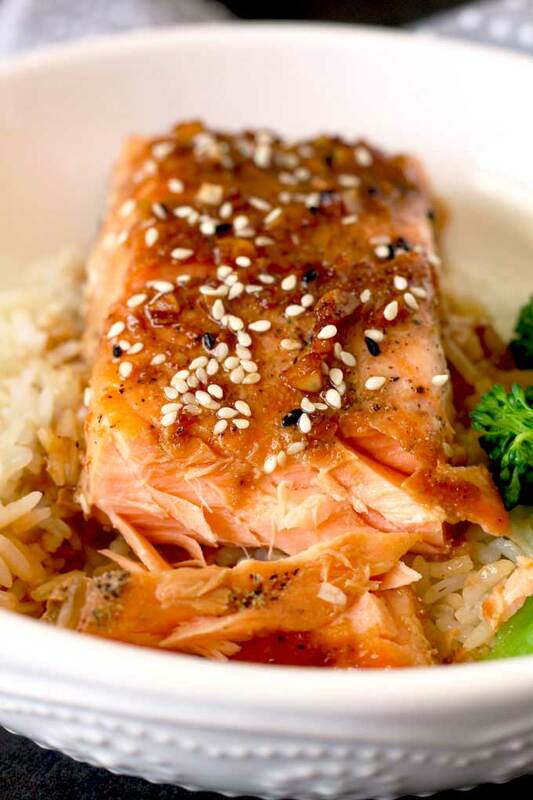 How To Make Oven Baked Salmon with Honey Ginger Glaze? 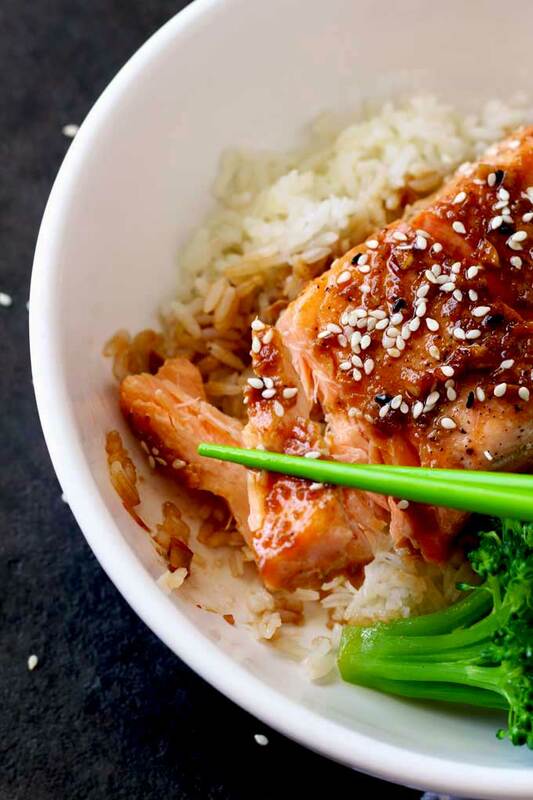 Salmon is praised for its high protein content and it is among the healthiest and most popular fish. This nutrient dense fish is loaded with brain-boosting and heart-healthy Omega-3 fatty acids as well as vitamins and minerals. 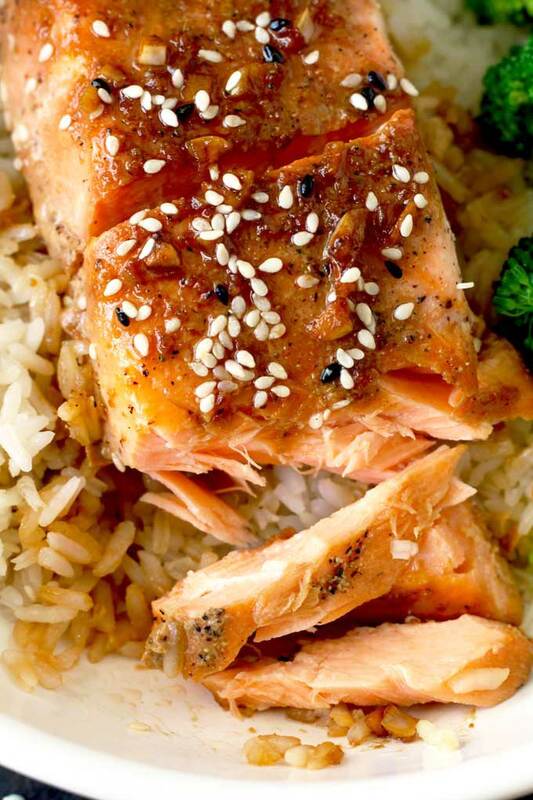 Salmon is said to reduce inflammation and fight some types of cancer. It also improves eye health, skin and hair health and helps improve mood and keep up your energy levels. Salmon can be divided into two main categories based on their origin – Atlantic Salmon and Pacific Salmon. There are also 6 categories or type of salmon, plus 1 type that is endangered for extinction. Atlantic Salmon: High oil content. Deep orange flesh. Chinook Salmon (King Salmon): The largest, fattiest variety. It has deep-red flesh and is rich in flavor. There is also a white-flesh variety. Chum Salmon (Keta): Lower in fat with firm, coarse, pale pink flesh. Coho Salmon: Coho is less fatty than sockeye. The flesh is medium-red and mild but flavorful. Pink Salmon: Small, lean and light in color, Mild, almost bland in taste and mostly used for canning. Sockeye Salmon: Second fattiest with dark red flesh and firm texture. Strong in flavor. Masu Salmon: The cherry salmon is critically endangered for extinction in the wild. Wild and farm-raised salmon are a good source of healthy protein. They do however, have some nutritional differences. Wild salmon contains more minerals, while farm-raised salmon is higher in fat. I suggest you always choose what is best for your budget. Most fish is flash-frozen when caught. This preserve its freshness and allows for shipping. Salmon skin is edible and keeps the fish moist while cooking. However, if you don’t like the taste you can remove it or ask your fish monger to do it for you. Keep in mind that the skin is much easier to remove when the fish is already cooked. It really just pulls off. Baking salmon is easy and doesn’t require flipping or basting. This convenient and simple cooking method produces delicious, flaky and juicy salmon with very little effort. At What Temperature To Bake Salmon? Salmon is best cooked quickly at high temperature. I like baking salmon at 400 degrees Fahrenheit. Exact cooking times vary depending on the thickness of your salmon fillets. Typically, it takes about 12 to 15 minutes to cook a 1-inch thick piece of salmon in a preheated 400 degree oven. Roasted salmon should be flaky and have a bit of pink in the middle. Wild salmon may take less time to bake as it has less fat and tends to get dry quicker than farm-raised salmon. 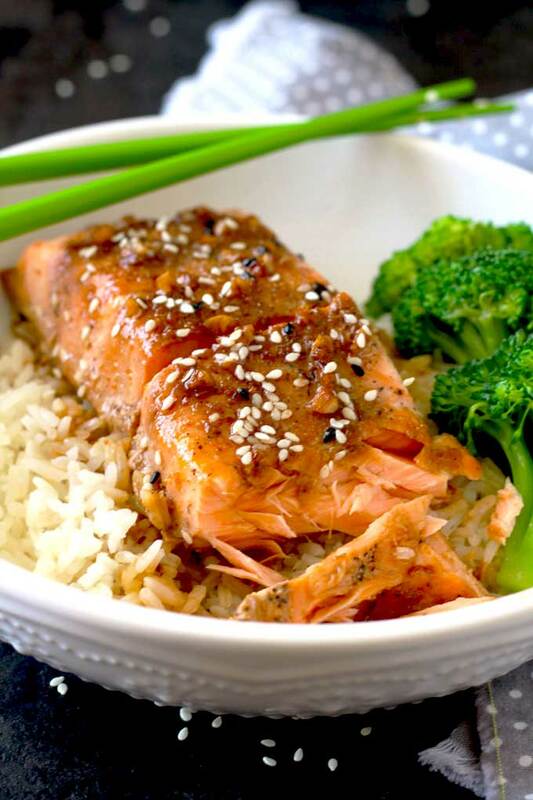 How Make Oven Baked Salmon with Honey Ginger Glaze? This melt in your mouth oven baked salmon is so easy to make and so full of flavor! It is one of my go-to salmon recipes because it’s quick and always a hit with family and dinner guests. 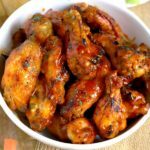 The simple honey ginger glaze is amazing! 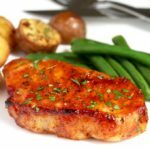 You are going to want to pour this Honey Ginger glaze over grilled chicken, grilled salmon, pork chops or any other firm fish! 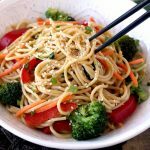 To make the Honey Ginger Glaze, melt the butter in a small sauce pan and stir in the rest of the glaze ingredients. Simmer for about 3 minutes. Spray a sheet pan or baking dish with cooking spray or coat the bottom with a little bit of oil to prevent the fish from sticking. Place the salmon on the sheet pan or baking dish (skin side down). Season the salmon fillets lightly with salt and pepper. 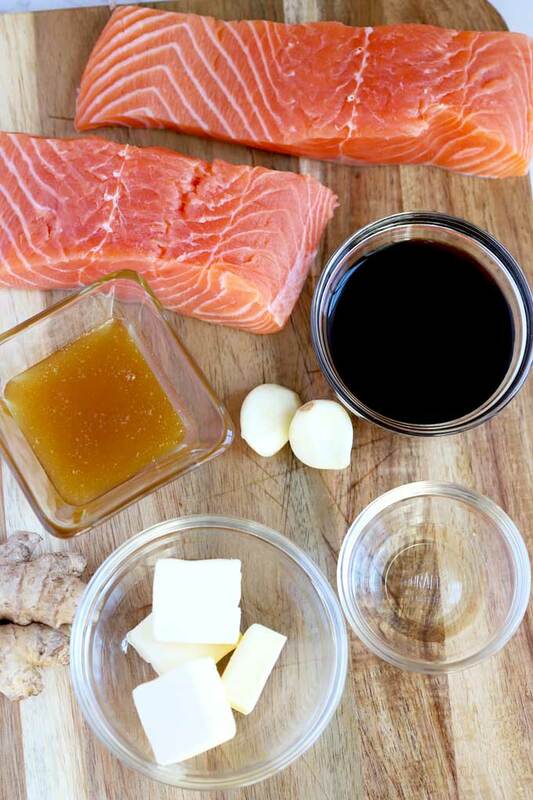 Pour the Honey Ginger Glaze over the salmon, making sure both sides are coated with the glaze. Bake for 10 to 15 minutes (depending on the size and thickness of the fish) or until the salmon is cooked through and flakes easily. Remove from the oven and garnish with sesame seeds. If you don’t have Mirin, you can use 1/2 teaspoon of fresh lemon juice or rice vinegar. 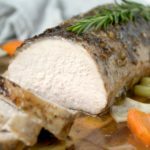 An instant-read thermometer inserted into the thickest part of the fillet should read 120°F to 130°F for medium-rare or 135°F to 145°F for medium and well-done. I have one rule when cooking salmon (a rule I never ever break). I always season the fish lightly with salt. No matter what preparation or what other seasonings I will be adding, I always start with salt. I think it helps to get rid of the fishy taste but this is just a “gut feeling” and not something I learned at culinary school. 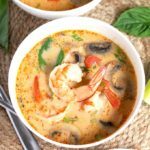 Looking for other seafood recipes? 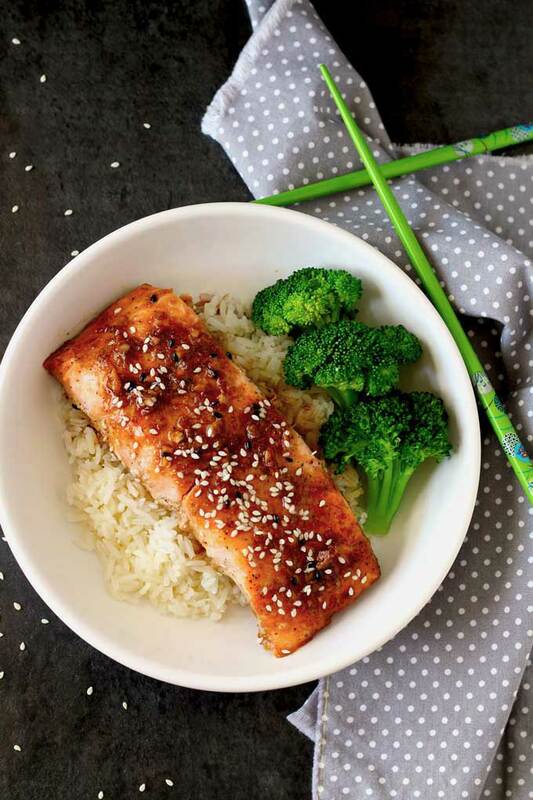 WANT TO TRY THIS OVEN BAKED SALMON WITH HONEY GINGER GLAZE? PIN IT TO YOUR DINNER OR SEAFOOD BOARD!! In a small saucepan over low heat, melt the butter, add the soy sauce, honey, mirin, grated ginger and minced garlic. Mix to combine and simmer for about 3 minutes. Remove from the heat and let it cool for a couple of minutes. 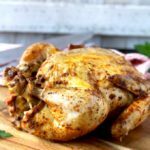 Line a baking sheet with aluminum foil or parchment paper. If using a baking dish, omit the aluminum foil/parchment paper. Spray with cooking spray or coat the bottom with a little bit of oil (olive oil or canola oil) to prevent the fish from sticking. Remove from the oven and garnish with sesame seeds (optional). Serve. Cooking time will vary depending on the size and thickness of your salmon fillets. Cook until the salmon is cooked through but still a bit pink in the middle and flakes easily. About 12 to 15 minutes for every 1-inch thickness of salmon. Nutrition facts are an estimate and vary depending on cooking methods and brand of ingredients used. Absolutely delicious. 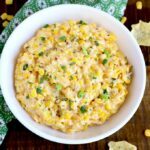 Quick and very easy to make as the step by step instructions are a life saver. I had guests over and this was my first time to make it. Everyone complicated the Salmon and I shared the recipe with everyone. 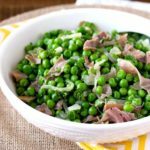 I am going to make this my staple dish as I thoroughly enjoyed it and it’s so healthy for you. 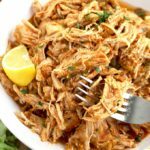 I can’t thank Katchy at Lemon Blossoms enough for sharing the delicious recipe. Thank you Ann. I am so glad you and your guests enjoyed the salmon. I really appreciate your sweet comment. Made my day! xoxoxox You made my day! 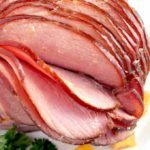 I made this recipe for myself and cook something else for my husband. He said that the smell was so inviting that he could close his eyes and eat the whole thing. So I challenged him to do it! I have a question, how do you take the “fishy” flavor that is so uninvited and do you have more recipes with different types of fish? Thank you Kathy, my husband eats Salmon!! Hi Karyna! I always season the fish with salt (lightly) before cooking it or even before marinating. To me, doing this helps to get rid of the fishy-ness….. about 10 minutes ahead is all that is needed. I will use this recipe next week when I prepare salmon for my wife & son. I will be using ginger powder. Is it 1 tsp per 1 inch square of fresh ginger. You can use 1 teaspoon to 1 1/4 teaspoon of ground ginger (ginger powder). Hi Kathy! I made this tonight and it was so easy and so good. My kids had seconds and thirds! It will definitely be going into our favorite recipe rotation. Thank you! So happy to hear! Thank you so much for the feedback!